It’s time for yet another one of those posts with slightly less talk and a bit more action – with action meaning lots pretty pictures, of course… It’s starting to become a bit of a tradition that whenever I go on a trip – be it big or small – I seem to always have a few “extra” pictures that don’t really fit into any specific post, but ones I still want to share with you all. That’s where these snippets posts come into play, and I really hope you enjoy them as much as I like putting them together – even if there is a little bit less rambling than normal. 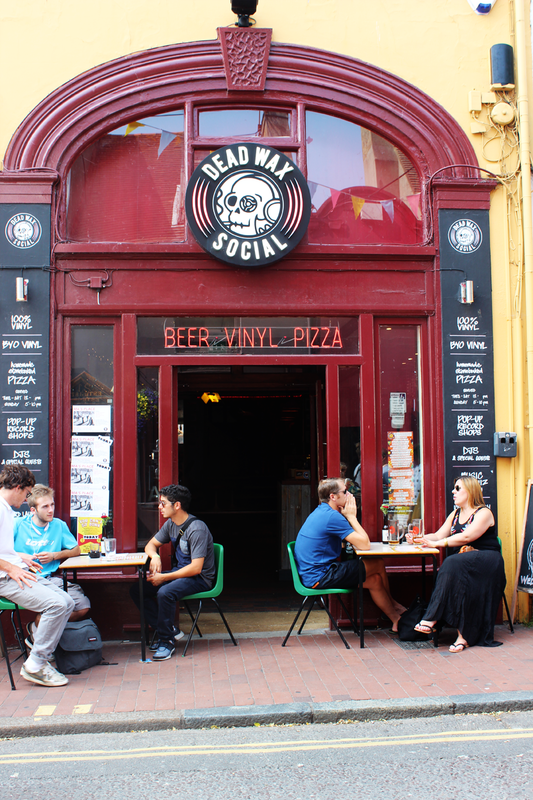 I already did a little Brighton guide a few days back so go have a peek if you’d like a more coherent guide on this lovely seaside town! I really fell in love with it and can’t wait to go back soon – it would be interesting to see how it looks during winter time, so maybe that’s when I’ll visit next as I’ve only ever been during the summer months. But for now I’ll just have to be happy with looking through these pictures and waiting for the next trip to come – I hope to see you again soon Brighton! Amazing pesto & sundried tomato pizza in the lovely VIP pizzeria near Brighton’s beach front. 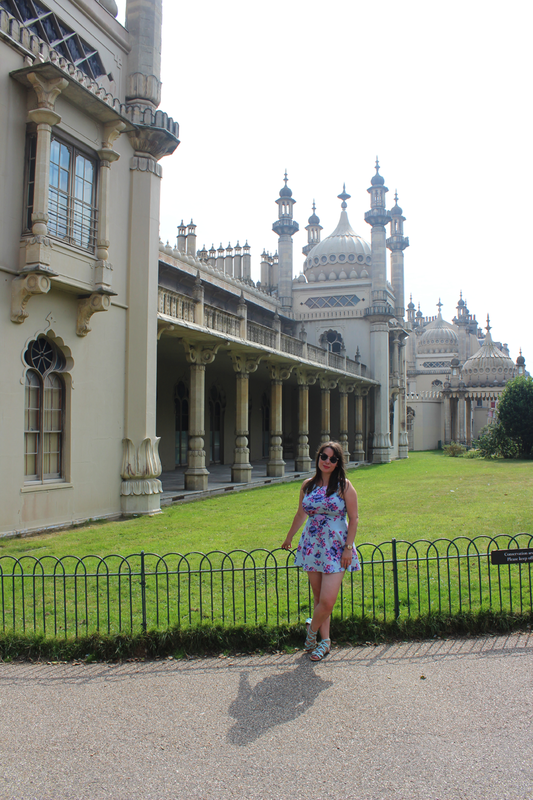 The beautiful Royal Pavilion of Brighton really makes you think you’ve gone on holiday for somewhere a bit further, don’t you think? It was absolutely gorgeous in the sunshine and its park would have made a pretty perfect picnic destination. I’ll need to keep that in mind for next time! Obligatory snap of a pretty colourful building, check! 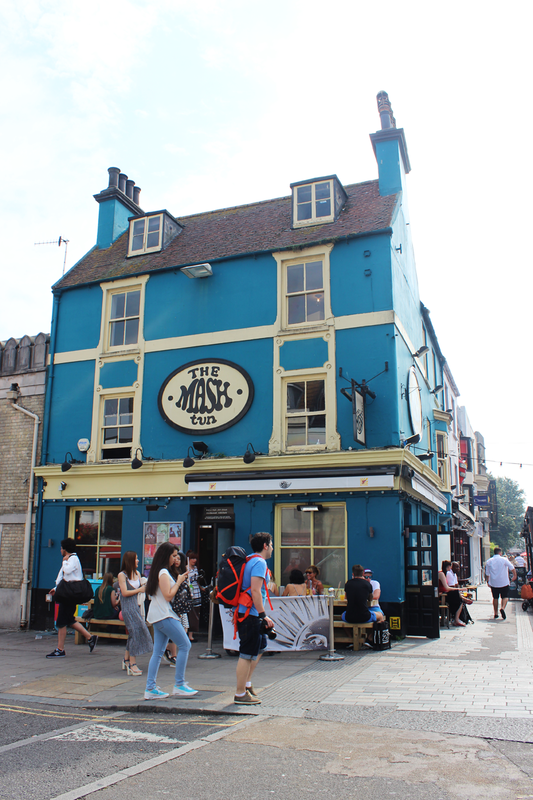 The last four pictures are taken from and near the beautiful area of North Laine which is full of veggie restaurants, quirky bars and market stalls – pretty much my idea of the perfect place! Have you ever been to Brighton? Which places should I add to my list for my next visit?